Left to Right: NFL Alumni President Bart Oates, Health City U.S. Sales & Marketing Specialist Mary Jones, Health City Director of Business Development Shomari Scott, and NFL Alumni CEO Beasley Ree. MOUNT LAUREL, NEW JERSEY, UNITED STATES, April 6, 2019 /EINPresswire.com/ -- Health City Cayman Islands is supporting NFL Alumni's (NFLA) charitable mission with a $20,000 donation to its "Caring for Kids" program. The world-class tertiary care medical facility, which was founded by renowned cardiac surgeon Dr. Devi Shetty, presented the donation at NFLA's New Jersey headquarters. 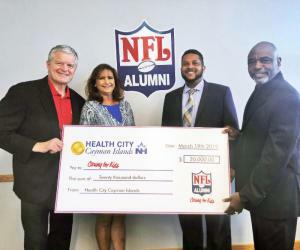 Health City became an NFLA service partner in 2018. Health City Director of Business Development Shomari Scott said: "We are pleased to support the NFL Alumni's charitable mission with this donation to 'Caring for Kids'. At Health City Cayman Islands, a large part of our mission is to bring health care to those who need it most. In our five years of operation, we have provided lifesaving heart surgeries to over 300 children in need from around the world. We are happy to partner with an organization that has children's best interests at heart." NFL Alumni CEO Beasley Reece said: "We thank Health City Cayman Islands for this generous donation to support our mission to improve children's lives. Our partnership with Health City is part of the NFLA's commitment to not only help kids but also to provide affordable health- and wellness-related services to benefit the quality of life of our members. By partnering with Health City Cayman Islands, we are able to provide our members with another excellent medical resource." Health City, which marks its fifth anniversary in April 2019, is committed to successful results and improved quality of life for its patients. Surgeons and medical staff at Health City have extensive experience in their fields, employ the latest technologies, and together provide seamless concierge care. Patients recover in the secure and tranquil setting of Grand Cayman - which is located just one hour away from Miami, Florida. NFL Alumni also has a traditional mission of "Caring for Kids" across the country. Player alumni give back in their local communities by raising funds for youth-related charities through their 35 regional chapters. It is a tradition that has existed for more than 50 years. Alumni support typically raises more than $1.5 million dollars annually for worthwhile causes. 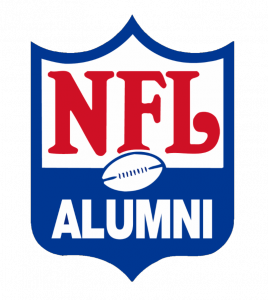 NFL Alumni was founded in 1967 and is the oldest and most recognizable national organization of retired professional athletes. NFL Alumni consists of former NFL players, coaches, executives, spouses, cheerleaders and associate members. NFL Alumni's mission "Caring for our Own" is to serve, assist and inform its members and their families. NFL Alumni offers a wide array of medical, financial and business programs to help members lead healthy, productive and successful lives. NFL Alumni also promotes the post-playing careers of its members and it also contributes to local community initiatives under its "Caring for Kids" programs. 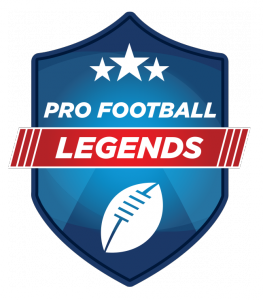 Pro Football Legends is the commercial marketing name and logo of NFL Alumni. The NFL Alumni Foundation is a 501(c)(3) nonprofit organization. Health City Cayman Islands, the vision of renowned heart surgeon and humanitarian Dr. Devi Shetty, is supported by Narayana Health, one of India's largest private health care systems. Health City, only the second hospital in the Caribbean to receive the Joint Commission International's hospital accreditation, provides compassionate, high-quality, affordable health care services in a world-class, comfortable, patient-centered environment. Offering health care to local, regional and international patients, Health City Cayman Islands delivers excellence in adult and pediatric cardiology, cardiac surgery, cardiac electrophysiology, medical oncology, orthopedics, sports medicine, pediatric endocrinology, gastrointestinal and bariatric surgery, neurology, interventional neurology and neuro-diagnostics, neurosurgery, minimally invasive spine surgery, gynecology, urology, pediatric allergies, colorectal surgery, dental, sleep lab and pulmonology services.